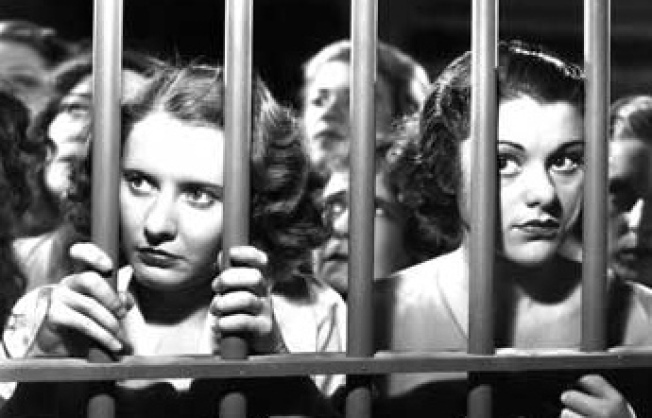 Barbara Stanwyck (l.) defines the moll in Ladies They Talk About. Every villain -- from Keyser Söze to Tyler Durden to the bunny-boiling Alex Forrest from Fatal Attraction -- owes a debt of gratitude to all the characters from the early days of Hollywood who defined criminal badassery: James Cagney. Barbara Stanwyck. Lon "More Than Just Frankenstein" Chaney. Film Forum's THE CON Festival has assembled 21 movies that define shady morals, and while there are some recent titles on the bill (like O Brother Where Art Thou with George Clooney), the real thrills come from old-school villains in gems like Angels With Dirty Faces (about poor kids who grow up to be an angel and a priest), Ladies They Talk About (a key entry in the ladies-prison subgenre), and chain-gang favorites like Cool Hand Luke (where Paul Newman eats a whole lot of hard-boiled eggs). Best part: Some selections are two-for-one admission, so you won't have to rob a bank to get in.